Bede (2008). Colgrave, Bertram; McClure; Collins, eds. 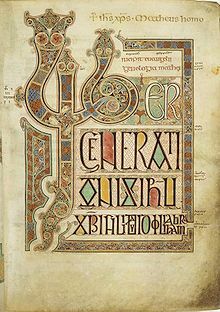 Bede's Ecclesiastical History of the English People. Oxford: Oxford University Press. ISBN 978-0199537235. Bede (1898). Miller, Thomas, ed. 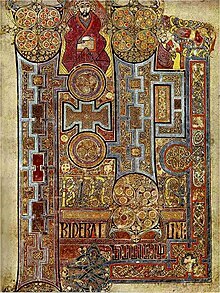 The Old English Version of Bede's Ecclesiastical History of the English People. London: Published for the Early English Text Society by Oxford University Press. hdl:2027/yale.39002053190329. Bede (1990). Latham, R. E., ed. Bede's Ecclesiastical History of the English People. Translated by Leo Sherley-Price. London: Penguin Books. ISBN 9780140445657. Roger of Wendover (1842). Coxe, Henricus, ed. Flores Historiarum. Sumptibus Societatis. Sturluson, Snorri (1964). Hollander, Lee M, ed. Heimskringla; history of the kings of Norway. Austin: Published for the American-Scandinavian Foundation by the University of Texas Press. ISBN 9780292732629. MacLean, Douglas (1997). "King Oswald's wooden Cross at Heavenfield in Context". In Catherine E. Karkov; Michael Ryan; Robert T. Farrell. The Insular Tradition: A Resource Manual. SUNY Press. pp. 79–98. ISBN 978-0-7914-3455-0.